If you’re looking for the right dentist to help you replace missing teeth with dental implants, cost is one thing that may be on your mind. Before settling on a dental practice to perform your procedure, there are a few basics you should know about making implant retained crowns, bridges, and dentures more affordable. In this post, we’ll discuss three things to look into before settling on a dental office to perform your implant tooth replacement plan. Keep reading to learn more. When you’re getting started with your search for an implant dentist, you may wonder whether or not implant supported tooth replacement is worth the investment. Unlike other forms of tooth replacement that only restore the visible parts of the tooth, implant retained replacement teeth restore both the roots and crowns, making them look, feel, and function more like natural teeth. At most dental offices, you can spread the costs of your advanced dental implant tooth replacement plan out over several months. Because the process is completed over several phases, you will be able to pay for each step of treatment – preparatory procedures, dental implants, and restorations – one at a time. Additionally, most dental offices provide access to low and no interest financing options through financiers who specialize in medical and dental payment plans. 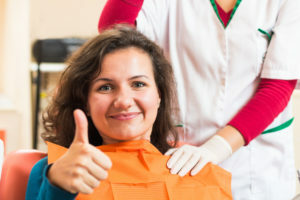 In addition to making low and no interest financing options available to patients, dental offices often process and file dental insurance claims to help you maximize the costs of dental care. Many offices even offer specials and payment plans for dental implant tooth replacement. Skilled Randolph dentist, Glen Goldstein, DMD, offers patients a wide range of oral health care services to keep them smiling. As a diplomate of the International Congress of Oral Implantology, Dr. Goldstein is well-qualified to provide safe, effective implant supported tooth replacement procedures. Whether you’re missing a single tooth or a full row of teeth, Dr. Goldstein can help you put the smile back on your face. We are happy to provide low and no interest financing and payment plans through CareCredit, LendingClub, LendingUSA, and Health Credit Services to make it easy for you to spread out the cost of care. If you’re ready to learn more, call Randolph Dental Care to schedule your tooth replacement consultation today. We’ll be happy to answer your questions, review your oral health, and help you to recreate a healthy, beautiful smile.